First, the two-story Phung Hung house is a clear and living example of old Vietnamese architecture. One does not need to consult history books to know about Vietnamese architecture because a real one is still standing today. The ancient architecture made use of eighty columns of precious woods and standing on a lotus-shaped base, a wide façade, a Yin and Yang roofing style with convex and concave designs, square veranda pillars, and a combination of Japanese and Chinese architecture. The four-sided roof and floor is a Japanese-inspired design while the round turtle-shell-like roof on the upper floor is Chinese-inspired. Inside the house are handicrafts, an old-style cupboard, and antique objects that reflect the traditions and culture of Vietnam. This traditional house made completely from wood has been inhabited over 100 years by eight generations. It was built in 1780 and has a tubular shape. Today, it is still a regular residence. The owners welcome visitors to see their home, guide them around, and hope to get a tip at the end. The family now lives on the ground floor, which used to be a shop for selling cinnamon, salt, pepper, silk and glassware. The second floor is where the family worships their ancestors. They have a family altar that should always have a bowl with seven marble dices. The owner uses this to determine when to leave whenever they are going on a far-away journey. Second, this ancient home is an important site primarily because it is within the Old Town. Located on Nguyen Thi Minh Khai street inside the ancient town of Hoi An, the Phung Hung House is among living relics and age-old landmarks. It is beside the Hoi An Book Shop and near the magnificent Japanese Covered Bridge, which is connected to an equally stunning pagoda. 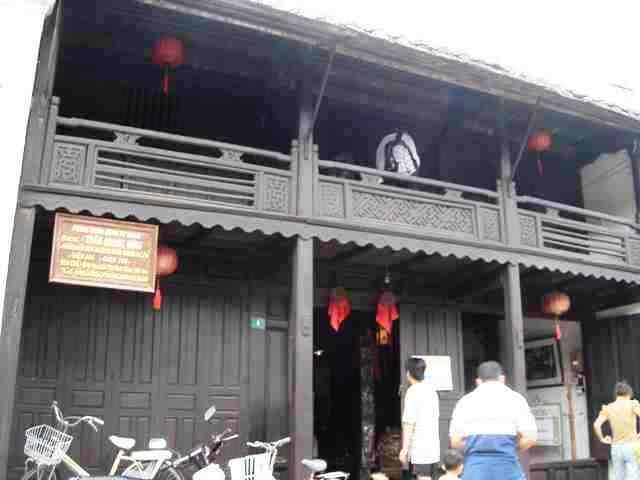 There is no entrance fee into the Phung Hung house and all the other ancient homes inside the Old Town. The houses are part of the coupon system, in which tourists only need to pay entrance into the Old Town worth US$5. Walking through and around the Old Town is free of charge, but the coupon allows a tourist to enter five tourist attractions, which include the Phung Hung house. Hoi An’s Old Town is a UNESCO World Heritage Site, which means preserving it is for the benefit of mankind, while the Phung Hung House was declared a National Historical and Cultural Site in 1993.